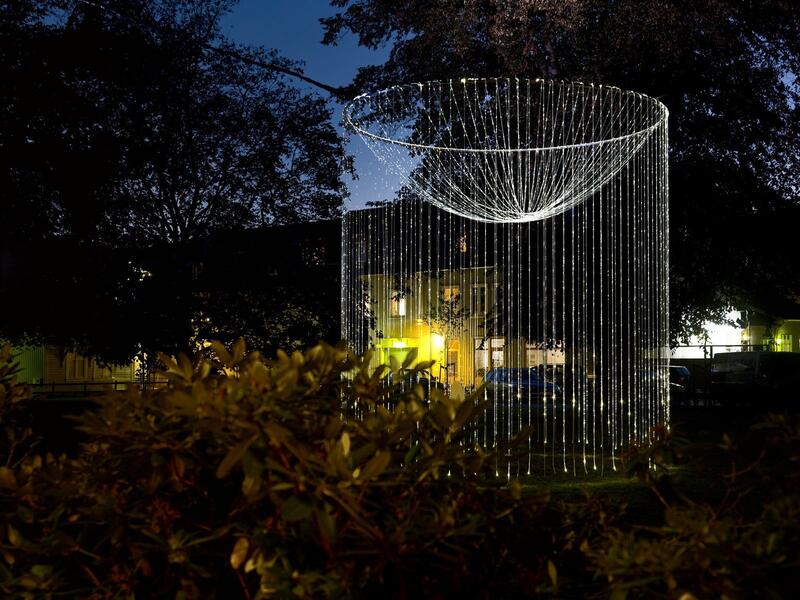 Lights in Alingsås is a lighting design event in which lighting designers and students from across the globe illuminate urban environments. 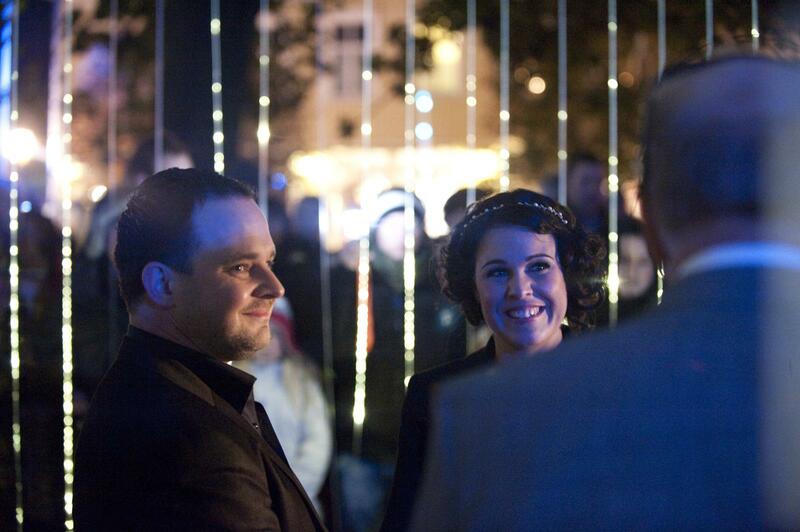 The lights can be seen throughout the month of October and the event brings about 80,000 visitors each year. 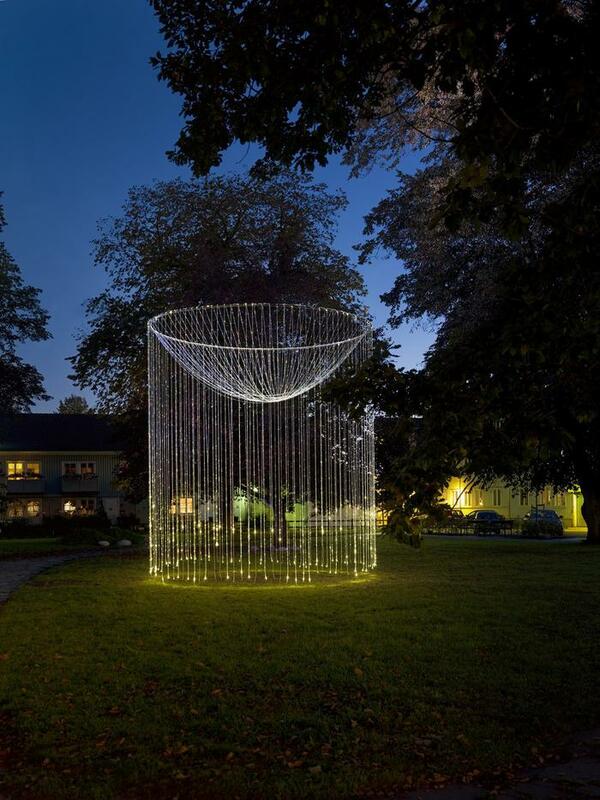 Lights in Alingsås is the largest arrangement of experimental lighting design of public places in Europe. My modest contribution to the event was the YELLYFISH project. 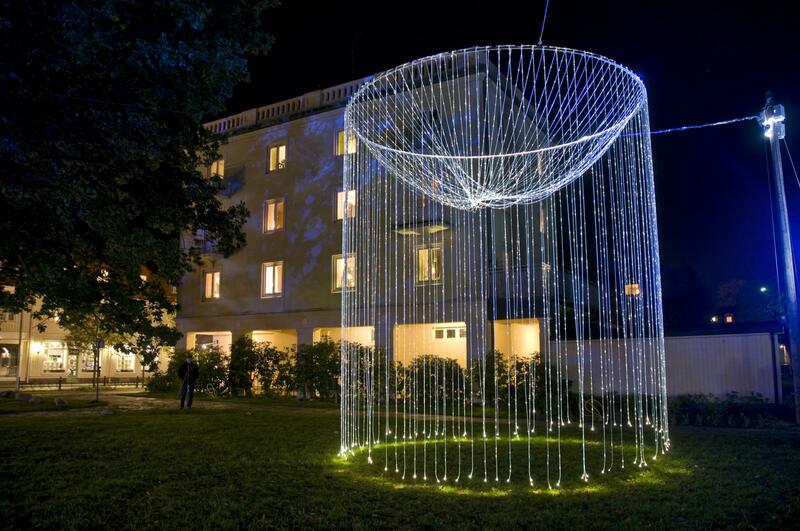 Over 50 fiber optic sidelight cables are hanging in a steel circle. The steel cirle is fixed with steel cable in the surrounding trees. 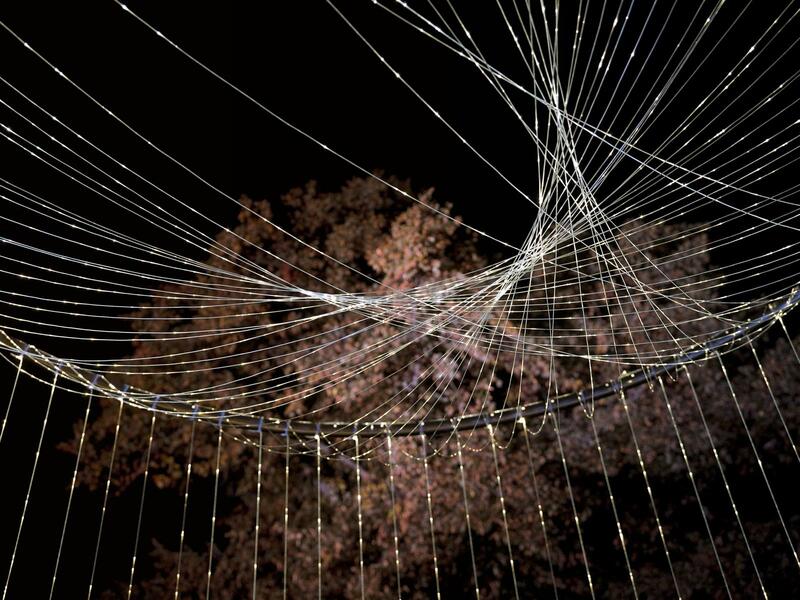 The wind in trees is moving the whole installation.